Dr. Leslie Hickle is Vice President Business Development for BioAtla, a San Diego biopharmaceutical company developing novel drugs and protein engineering platforms based on bioactive proteins such as antibodies and enzymes. She has extensive research and management leadership experience in animal health, agribusiness, and industrial biotechnology and transactional experience across multiple industries leading to several legacy products with multi-million dollar sales. Prior to joining BioAtla, she managed the San Diego headquarters and led corporate development for Synthetic Genomics, a company founded by Dr. Craig Venter to progress the development of biobased fuels and synthetic biology. Previous to SGI, while at Diversa, AgriLynx, Mycogen and Stauffer Chemical (now Syngenta) she played critical rolls in identifying and fostering strategic alliances with key partners in animal health, plant agriculture and industrial businesses. 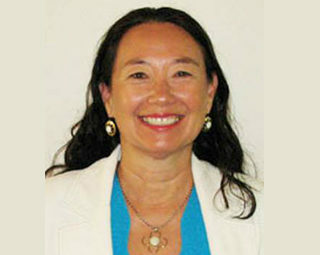 She has led and mentored teams that have developed novel chemical and biopesticides, plant traits, vaccines, therapeutics, and technology platforms; she is co- inventor on issued and pending patents, is editor of a book on analytical chemistry, and co-author of publications in animal health and agriculture. She has founded successful biotech companies and served as a business and technical consultant to Bayer, California EPA, Schering Plough, Pioneer Hi-Bred, DuPont, Dow Chemical, Cal Poultry Federation and several biotech startups. Dr. Hickle received both her BS (1974, Biology/Chemistry) and PhD (1981, Entomology/Toxicology) from the University of California Riverside. Leslie is a Certified Board of Director (UCLA Anderson School of Business) and continues to advise and work with new biotech startups; she also serves on UC Riverside Board of Advisors for the College of Natural and Agricultural Sciences.